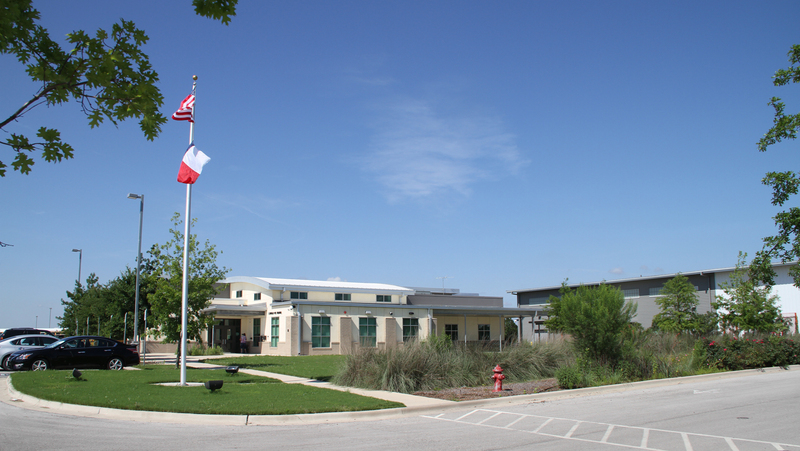 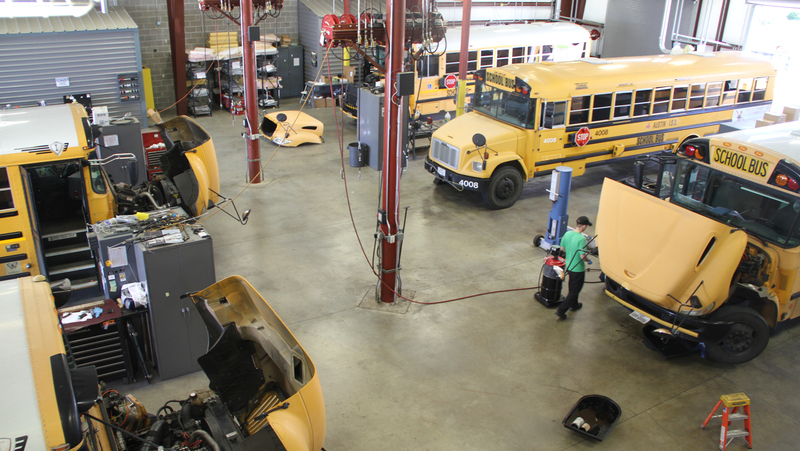 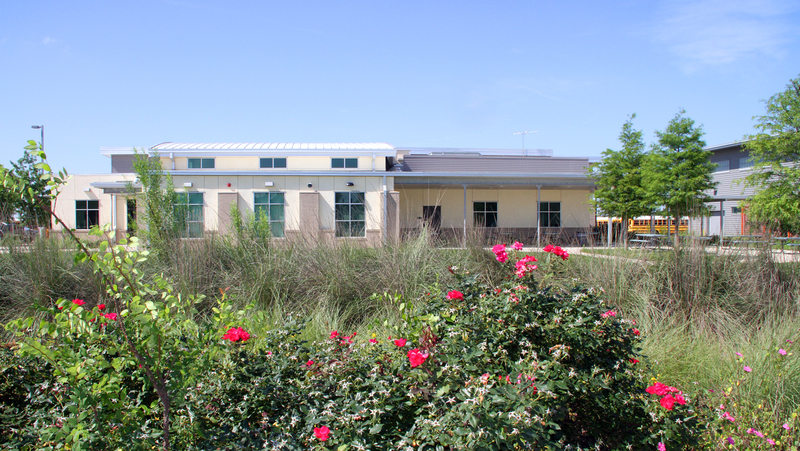 The Southeast Bus Maintenance & Service Facility consists of a 7,400-sf Administration Building, a 13,000-sf Maintenance Building, Bus Parking for 176 school buses, and Fueling Station. 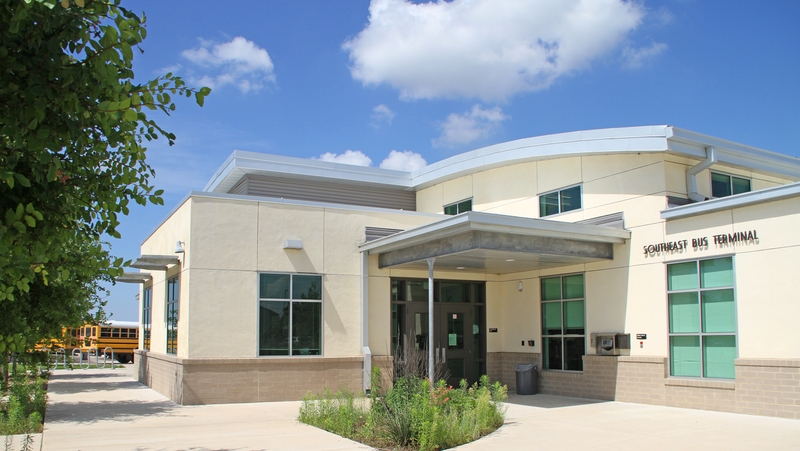 The side layout demonstrates planning for expansion, considerations for safety and compatibility, and care toward the environment. 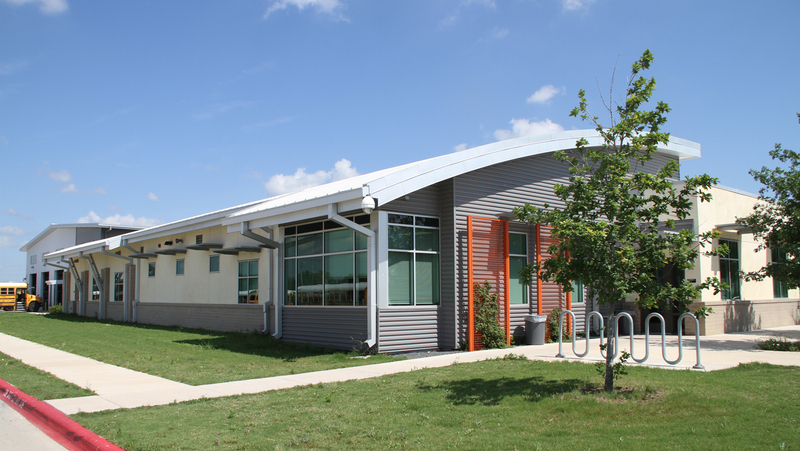 The Administration and Maintenance Buildings are separate and have two different roof configurations (Administration Building has a gently curved roof), and design features that were deliberately selected and sized to boost compatibility with the surrounding residential neighborhood.